PRICE REDUCTION. OPEN TO OFFERS. Great location, on the Golden Mile and walking distance to the beach, amenities and Puerto Banus. Large property with 9 guest apartments, which can serve as a boutique hotel, B&B, guesthouse or clinic. 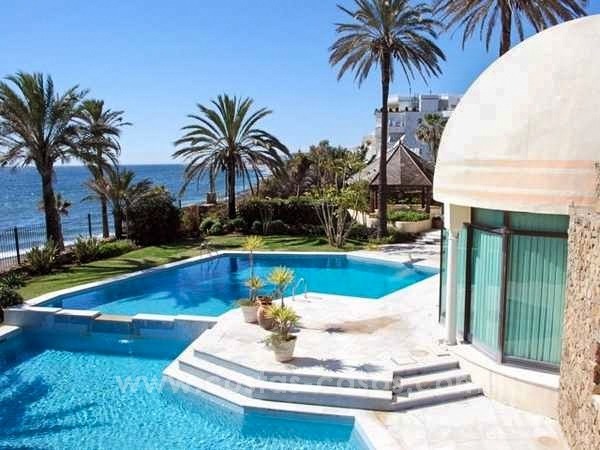 Spectacular beachside luxury villa for sale in Marbella This villa is located only 200 meters from the beach. Quiet and totaly private. Beachfront villa property for sale, beachside Golden Mile, near Marbella centre This property to buy is on an unique location along the pedestrian promenade on the Golden Mile, on the edge of the centre of Marbella town. All amenities are at short walking distance. The plot is almost 3.000m2, with a mature garden bordered with high trees. The property has complete privacy. The villa is southerly orientated. Sea view and mountain view to “La Concha”. Ample parking, and large garage for 2 or more cars. The villa breaths the charm from the past decades and is full of character. 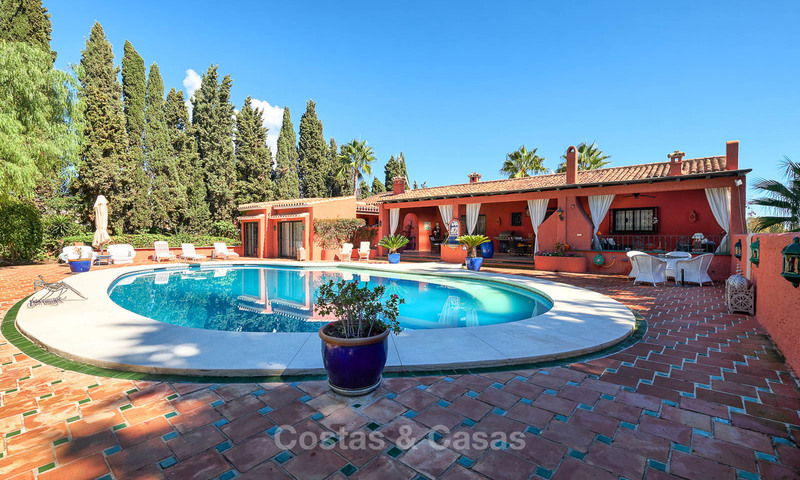 The villa is about 1.000m2 built including the adjacent independent guesthouse. The villa and guesthouse are built on 3 floors. Distribution: Hall, guest bathroom, very spacious living room with fireplace, separate dining room with adjacent covered terrace. First floor: 2 large bedroom suites with fireplace and terrace. Second floor: 2 large bedroom suites with fireplace and terrace. Independent guesthouse with 4 bedroom suites. Marble floors and bathrooms, 2 Jacuzzi´s. First line beach villa for sale - Estepona - Costa del Sol Exceptional FIRST LINE BEACH property in a peaceful location between Marbella and Estepona. The house was designed by the prestigious American architect and has a beach frontage of 61 meters. The villa consists of: entrance hall, reception area in several sections, 8 bedrooms, 9 bathrooms. Surrounded by a well tended mature garden with an automatic irrigation system and with tropical plants. 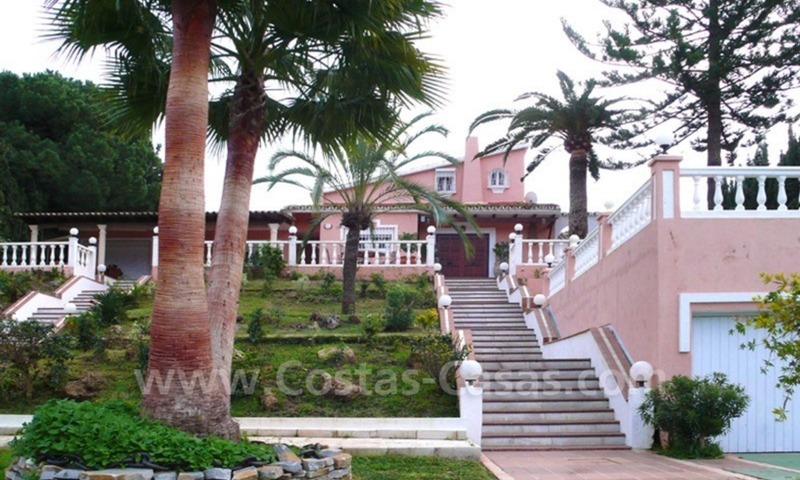 Garden, large swimming pool, barbecue area with direct access to the beach. Own well with drinkable water. Hot/cold water pump. Centralised air conditioning, solar panel for hot water and remote controls for the various entries. Update: new photos Frontline beach villa for sale, Marbella - Estepona Beachfront property to buy on the New Golden Mile, between Marbella and Estepona town. 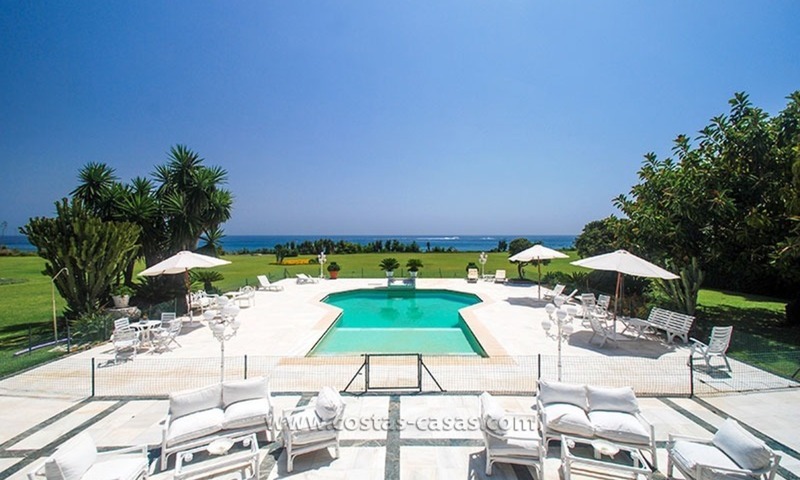 Impressive beachfront estate on a plot over 6.000m2 with manicured gardens. Recently built villa on 2 floors plus basement of more than 1.700m2 8 bedrooms, 6 bathrooms, 3 cloakrooms, library, kitchen with huge dining area, living room with beamed ceiling, separate dining room. Upstairs: master bedroom en suite, with gallery, sitting area, 2 large walk-in dressing rooms. Impressive entrance with Alhambra style gardens and fountains. Large front subtropical front garden with spectacular swimming pool. Own well for garden and pool. New Golden Mile: area between the town of Marbella and Estepona centre, with 2 five star hotels Las Dunas and Kempinski, exclusive beachclubs, many cosy beachrestaurants and several golf courses.